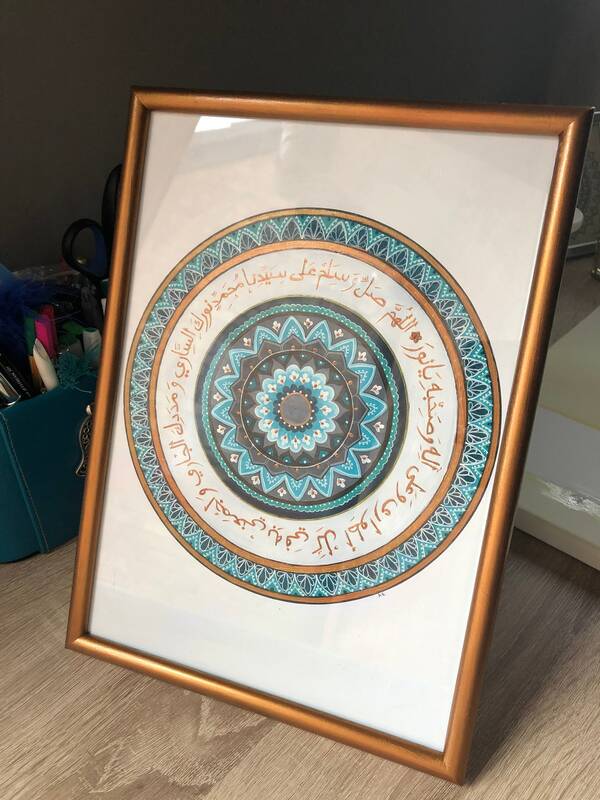 A bespoke mandala with hints of blues and grey. 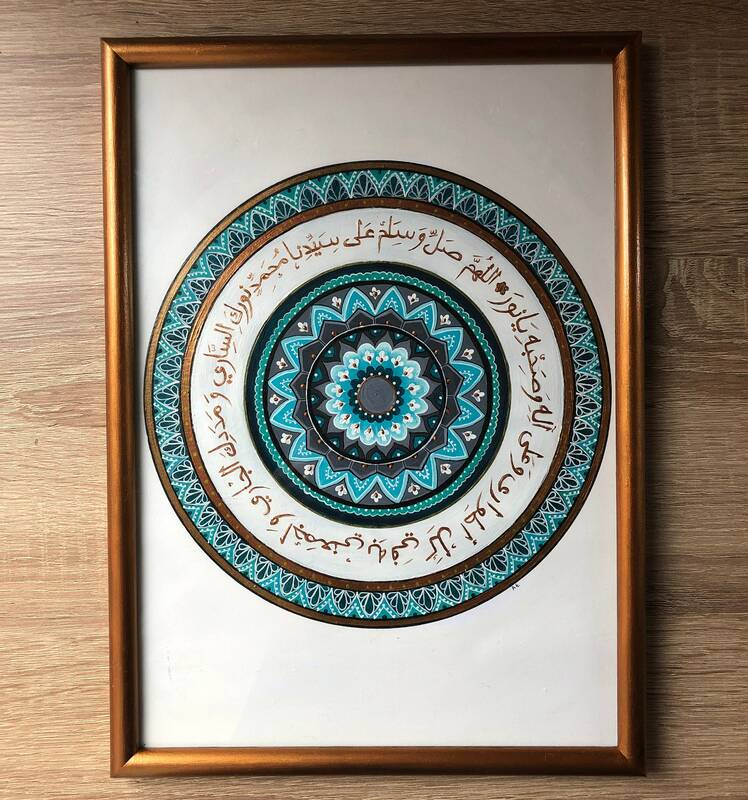 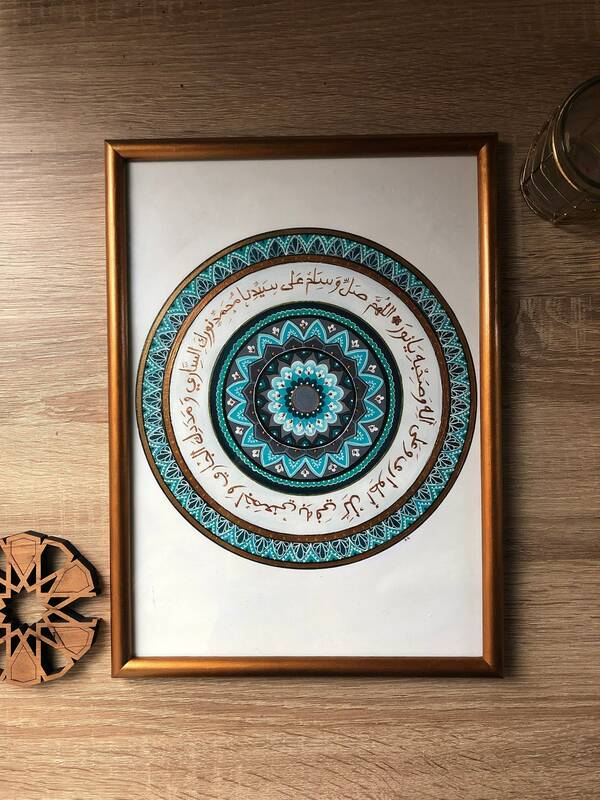 Copper Arabic calligraphy with any your chosen verse, Ayah or favourite quote to match the copper frame. 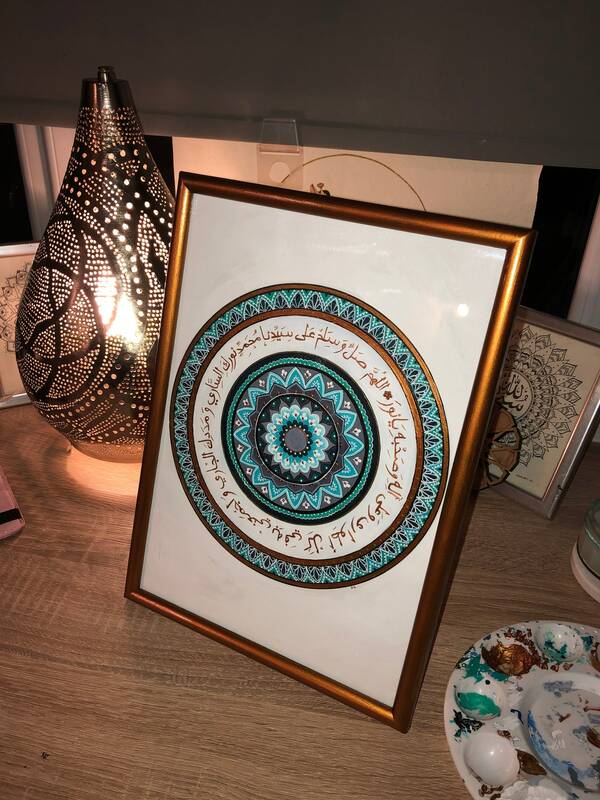 Calligraphy can be in either English or Arabic.